Norgren has developed IVAC (integrated valve and actuator control), an integrated unit which aims at delivering engineering advantage by combining the valve, flow controls, cushioning and sensors in a single actuator package. 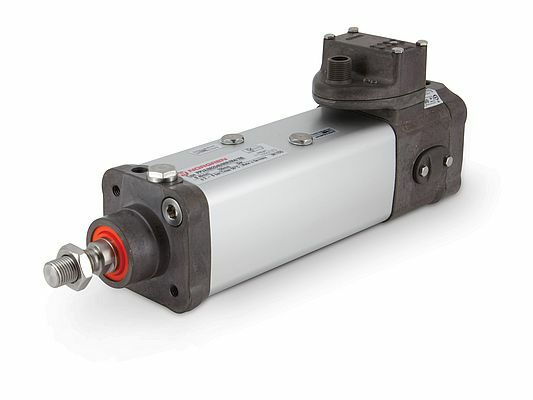 It is a weight and space optimised actuator, suitable for a range of bore sizes from 40mm to 80mm, featuring integrated valve and magnetically operated switches for complete actuator control. Able to be retrofitted or integrated within new systems, each unit requires only one pneumatic and one electrical connection, eliminating the need for multiple valve islands, components, tubing and accessories. A number of options and varieties are available including cleanline versions for industrial cylinders, industrial slave cylinders and easy washdown, helping OEMs comply more easily with hygiene regulations. OEMs can take advantage of these benefits without any mechanical design changes, as the products conform to the latest ISO VDMA dimensions. Its single M12 connection for input and output can be hardwired or plugged into a fieldbus system no matter which protocol is being used.